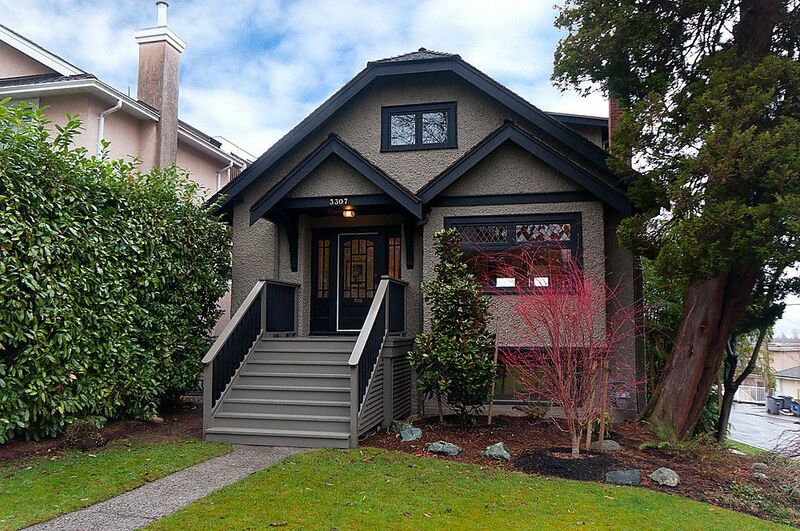 Fantastic OCEAN, MOUNTAIN & CITY VIEWS from main floor of this renovated Dunbar home. A delightful blend of old world charm including leaded windows and built-ins and contemporary open plan with lots of windows and skylights. Perched highon the hill featuring an amazing private view deck with hot tub off newly updated island kitchen and adjacent family room. Three bedrooms up with vaulted ceilings and large master retreat with spectacular view deck. Down is an above ground large bright rec room and great storage. Fabulous Dunbar location close to shops, restaurants and UBC. SOLD!